| Swedish Import | This fairytale started to unravel four years ago with the release of Triarii’s Piece Heroique. A sinister seed was planted in the fertile soil of northern Europe as Christian Erdmann (Triarii) and Tomas Pettersson (Ordo Rosarius Equilibrio) gave birth to the track “Roses 4 Rome”. And now finally, the progeny has been conceived and fully developed; and what they call TriORE, has ultimately been born. 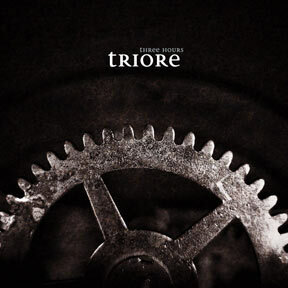 Both participants go beyond themselves and step out of normal character, but TriORE is nonetheless the embodiment of all that which is Triarii, and all that which is Ordo Rosarius Equilibrio; like a succulent apple in two opposite pieces just waiting to be devoured. The bombastic touch of Triarii is still there; the string sections, the choirs, the martial drums and much more; alongside the eloquence of Ordo Rosarius Equilibrio, musically, melodically, as well as lyrically. This is what all lovers of both bands have been waiting for, a complete forty minutes of Art Deco Industrial Pop. This work begins where Roses 4 Rose left us, and takes all the way from the rising of victory, through the trenches and all the way till Europa falls.